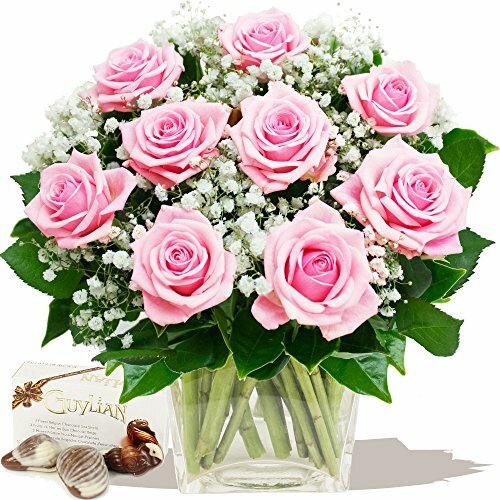 Get 12 Mother's Day Pink Roses from Groupon. 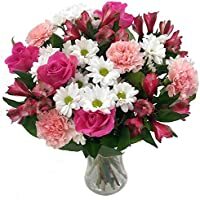 Today only, get Clare Florist Mothers Day Bouquet from Amazon.co.uk. 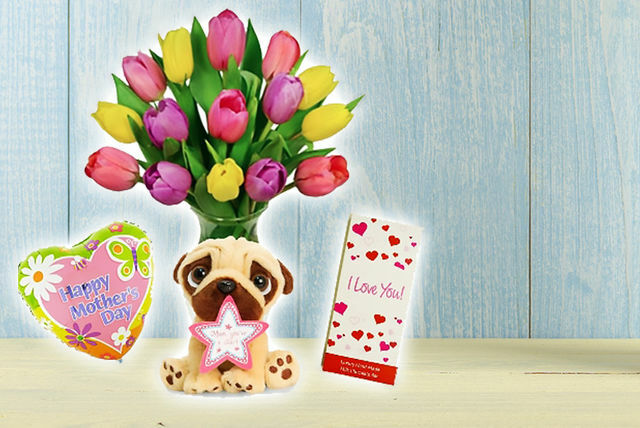 Get Mothers Day Tulip Hamper from LivingSocial. Marks & Spencer is offering Mother's Day Flowers & Food Gifts. Super Hot! 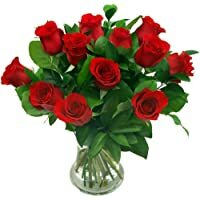 Today only, get Clare Florist 12 Luxury Red Roses Fresh Flower Bouquet from Amazon.co.uk. 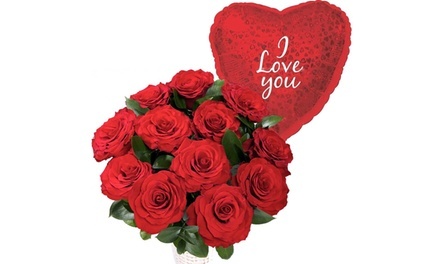 Get Stunning Bouquet of 50 Red Roses from Valueflora.com. Get Love in a Trug Flower Bouquet from Valueflora.com. 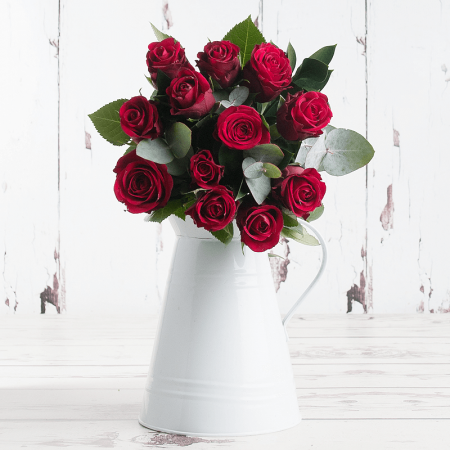 Get Autograph Freedom Roses Bouquet (Two Dozen) on Pre-order from Marks & Spencer. 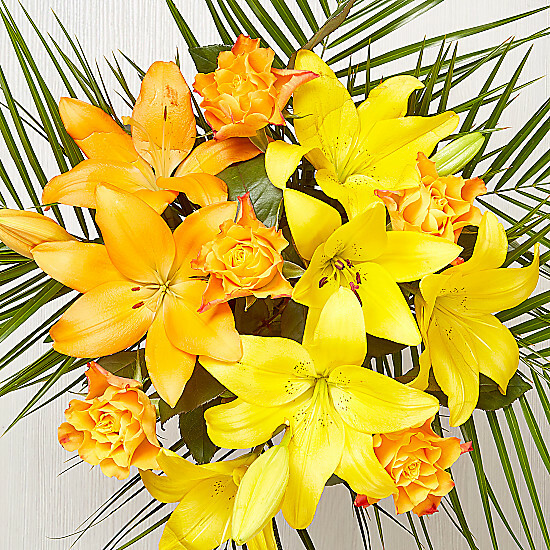 Get Aztec Sun Flower Bouquet from Serenata Flowers. Amazon Lightning Deal! 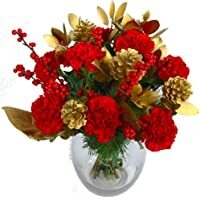 Get Clare Florist Christmas Cracker Bouquet from Amazon.co.uk. Get Luxury Christmas Hamper for Her from Wowcher (via First4Hampers). 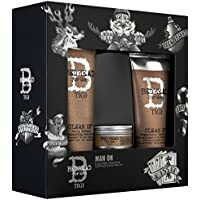 Get TIGI Bed Head Christmas Gift Sets (Shine On) from All Beauty. Get Continental Chocolate Gift Collection (284g) from Thorntons.co.uk. Marks & Spencer is offering 3 Christmas Gifts & Essentials for the price of 2. Shop for a great collection of cards, wrapping paper, decorations, home fragrance and beauty gifts. Get Carolina Herrera CH Men Sport EDT Spray & Aftershave Balm Gift Set from eBay.co.uk (via Tesco). 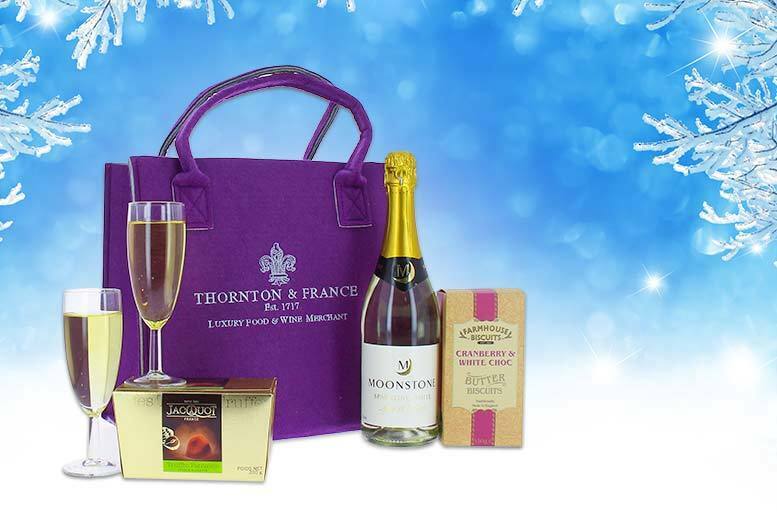 Get Tasty Treats Bundle from Thorntons.co.uk. Discount : 50% via voucher "SUMMER"
Get Loads of Chocolate Bundle from Thorntons.co.uk. 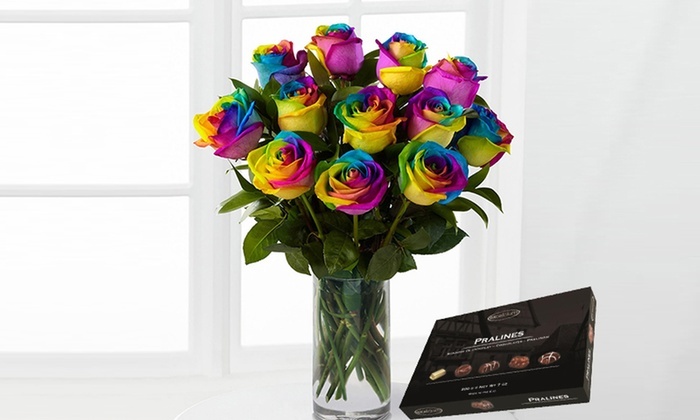 Get Rainbow Roses and Chocolates - 6-Flower from Groupon. 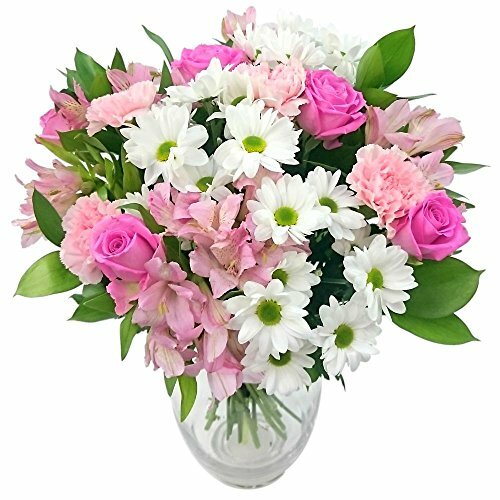 Get Easter Flower Bouquet from LivingSocial. Get Family Easter Gift Bundle from Thorntons.co.uk. Get Mega Egg Easter Hamper from Mighty Deals. Get Farhi Giant Tub Of Character Easter Eggs Milk Chocolate from John Lewis. Get Personalised Chocolate Smartie Egg Tree from Cuckooland. Get Hotel Chocolat You Crack Me Up Easter Egg from John Lewis. Get Chococo Milk Chocolate Dinosaur Easter Egg from John Lewis. Get Large White Chocolate Easter Egg from Thorntons.co.uk. 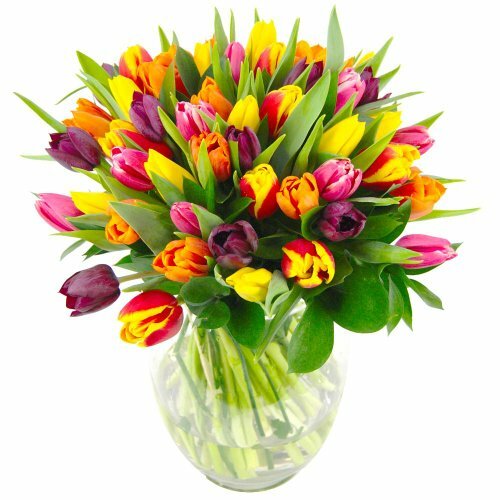 Today only, get Clare Florist Mixed Tulips Fresh Flower Bouquet from Amazon.co.uk. Get Family Favourites Easter Gift Bundle from Thorntons.co.uk. Get Hotel Chocolat Easter Eggs & Soldiers Milk Chocolate Truffles from John Lewis. Get Mega Easter Gift Bundle from Thorntons.co.uk. Get Personalised Easter Chocolate Box from Cuckooland. Get Personalised Oreo Chocolate Egg Sweet Tree from Cuckooland. Today only, get Thorntons Easter Egg Stravaganza Gift Bundle from Thorntons.co.uk. 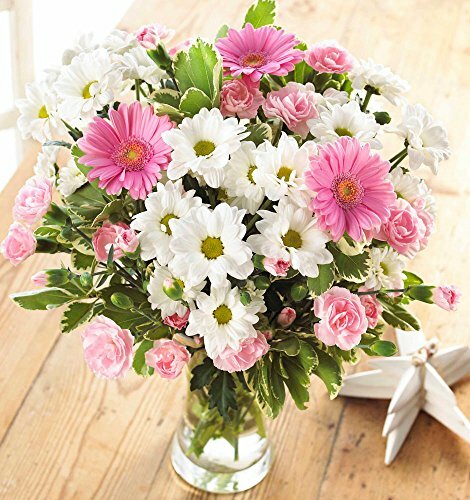 Today only, get Magnificent Mums Mothers Day Fresh Flower Bouquet from Amazon.co.uk. Amazon Lightning Deal! 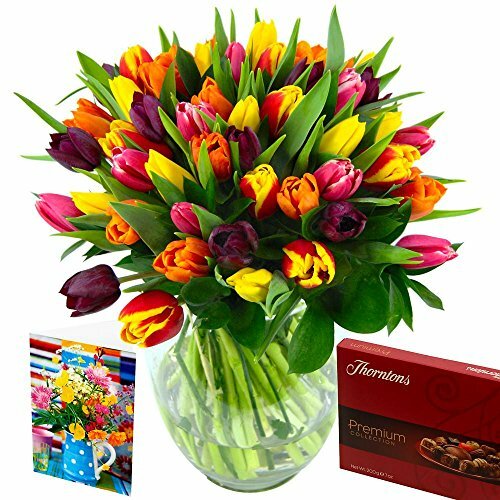 Get Clare Florist Mixed Tulips Flower Bouquet Gift Set from Amazon.co.uk. Get Selfridges Selection Mother's Beloved Flowers Bouquet from Selfridges. Get Selfridges Selection Purple Flowers Bouquet from Selfridges. Swan is offering 50% off entire order via voucher code "MOTHERSDAY2016" expires 09/03/2016! Shop for a great range of Mothers Day Gifts right from Soup Makers, Kettles, Toasters and much more. Delivery is Free on £100 or more. Get Mothers Day Rose Hamper from Marks & Spencer. Get Mothers Day Beautiful Selection of Sweet Avalanche in Mum Gift Bag from Marks & Spencer. Get Large Tulips Gift Bag with Free Chocolates from Marks & Spencer. 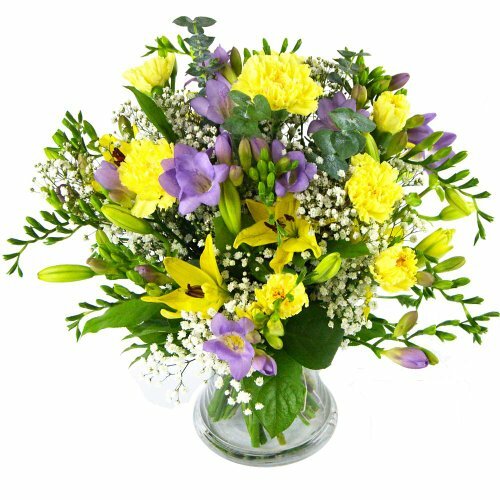 Get Deluxe Mothers Day Flower Bouquet from Wowcher. 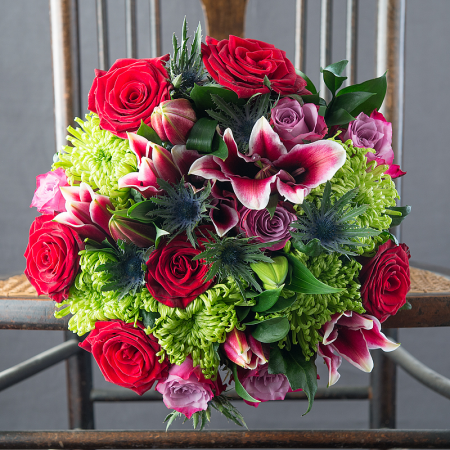 Get Decadence Valentines Bouquet from Appleyard London. Get Baylis & Harding Womens Rhubarb and Vanilla Trio Gift Set from eBay.co.uk (via Argos). Get 12 Red Roses with I Love You Balloon from Groupon. Get Classic Bouquet of 12 Red Roses from LivingSocial. Get Valentine's Bouquet with Balloon and Chocolates from LivingSocial. Get 12 Deluxe Red Roses with Green and Silver Foliage from Blossoming Gifts.